Since artistic dance began in Israel, classical ballet has been at the margins of artistic activity and creation. There are several established dance companies in Israel, but only one of classical ballet – The Israel Ballet. Unlike modern dance, where fringe activities thrive, Israeli classical ballet has no fringe activities whatsoever. The Israeli Ballet is a good dance company, appearing in full halls despite the difficult conditions in which it works – one rehearsal hall and no accompanying school. There are some masterpieces by George Balanchine in the company’s repertoire, but most of its works are by Berta Yampolsky. Unlike Rami Be’er or Ohad Naharin, who are likewise the nearly sole creators in their companies, Yampolsky’s works are not appreciated internationally to the same extent. The main problem, however, is that the company did not succeed in raising a new generation of Israeli creators. The only Israeli creator in The Israel Ballet is the company’s Director, Berta Yampolsky. So far, all the attempts to establish other classical ballet companies have failed. The Haifa Ballet has suffered a harsh blow when Adam Pasternak passed away, and is still attempting to re-organize itself. It is doubtful whether it could have been the artistic that Israeli ballet is looking for – a chamber ballet company in contemporary style. 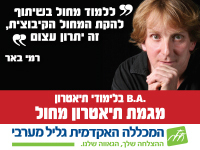 Valeri Panov’s group in Ashdod is making its first steps. Against this backdrop, the importance of the Mia Arbatova Competition, which celebrated its 10th anniversary last month, is obvious. It is the only framework enabling the introduction of new developing talents and of work done in Israeli ballet studios. The competition’s high standards and the large audience that attended it point to the fact that the public is interested and loves this art form. If that is the case, what went wrong? Why is classical ballet a stepson in Israeli dance? Artistic dance in Israel started in the 1920’s. The land of swamps and malaria was not an ideal place for the flourishing of artistic dance, but the starting point for classical ballet was particularly difficult. While dancing barefoot on the sand in Tel Aviv was no easy feat, doing so in satin shoes and tutus seemed like a surrealistic dream. To this was added ideological hostility. The pioneers, most of whom had arrived from Eastern European countries, regarded classical ballet as related to aristocracy, to the traditions of a world they renounced. Although many of the pioneers were educated people, most of them had never seen a ballet performance. Since the laws in pre-revolutionary Russia and in Eastern Europe did not allow many Jews to live in the big cities, only a small percentage of them lived in cities where they could study or view the ballet. 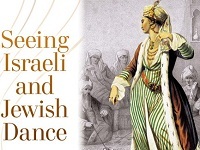 Dance companies did not accept Jewish dancers, except in a few cases of dancers who concealed their Jewish origins. As is well known, Anna Pavlova, whose mother was Jewish, concealed this fact. Therefore, the pioneers associated the ballet with names such as the Marynsky or the Bolshoi – protegees of the Tzar’s regime. Of the reforms in classical ballet and of the daring works performed by Diaghilev’s Ballets Russes, they knew only by rumour. Thus, in the 1920s there were no classical ballet dancers and teachers in Israel, making it difficult to raise a new generation of classical ballet dancers – even more so than modern dancers. A classical ballet dancer’s training takes years. The dancers are required to reach very clear performance standards, and to deal with a difficult repertoire. Modern dance, however, was contented with dancers who could express themselves and move the audience, and their technical skills were considered to be secondary to their expressive capabilities. Without professional dancers, without tradition and without an audience – the prospects for the development of classical ballet in Israel seemed grim. The pioneers who opposed the ballet embraced the Ausdruckstanz, the expressive dance which flourished in Central Europe between the world wars. This was a young, avant-garde dance form, which represented ideas of freedom and social involvement. Between the world wars there were many educated, wealthy Jews living in the big European cities, mainly in Germany and Austria, who sent their daughters to rhythmic or expressive dance lessons, regarding them as important to a girl’s education. While the classical ballet dancers of the opera were perceived as morally suspect, the modern dancer was perceived as a combative, educated woman. Many Eastern European Jewish girls danced in professional companies, such as Mary Wigman’s prestigious company. In Israel, in the 1920s, dancer and choreographer Baruch Agadati performed a recital in Eden cinema, in the Neve Tzedek neighborhood near young Tel Aviv. It was a bold act, reflecting the artist’s wish, while living in a forsaken province (first of the Ottoman Empire and then of the British) to be part of the avant-garde activities taking place in the cultural – namely, the European - world. The timing is remarkable. In the same year during which Agadati performed in Neve Tzedek Mary Wigman opened her school in Dresden. That was also the year of Rudolf von Laban’s return to Germany after his stay in Zurich during World War I. He started working in Nurenberg and Stuttgart, where Kurt Jooss came to him when he wished to study dancing. It is surprising that Agadati chose to give a recital in modern dance, since what little training he had was in classical ballet. Just before World War I, Agadati visited relatives in Odessa, and as the war broke out he was obliged to remain there for the duration. There, he was accepted to the Opera Ballet, with which he stayed for three years. As soon as the war ended he returned to Eretz Israel, and lost no time in abandoning classical ballet in favour of expressive dance. It is possible that he felt that as a late starter he lacked the background and skills necessary for classical dance, but it is more likely that – being a zealous Zionist – he dreamt of creating a new dance form in the new Israel. Four years after Agadati’s recital, Rina Nikova immigrated to Israel from St. Petersburg. Nikova, who came from a wealthy family that had a special permit for living in St. Petersburg, studied at the dance conservatory. Due to her family’s objections, she began her studies only at the age of 16. She did not have good technique, but excelled in character dances, which were popular at the time and were incorporated in the ballet pieces. In 1922, when she immigrated to Israel, the famous Russian conductor Mordechai Gulinkin established the Israeli Opera, and Nikova was appointed prima ballerina. While performing at the Opera, she also established a ballet school in Tel Aviv. Much vision as well as a measure of impudence was needed in order to raise 49 operas on the Eden cinema stage, which lacked even a back pass. The corps de ballet consisted of a few amateur girls, and the prima ballerina’s partner was the danceur noble David Branin, of whom nothing is known. Unlike the ballet, which, as mentioned, was viewed with hostility, the founding of the Opera was regarded as an important Zionist enterprise. In 1929, the Opera was closed due to lack of funds, and Nikova traveled to the United States. Thus ended the pioneering classical ballet chapter in her life. When she returned in the beginning of the 1930s, she founded the Yemenite Ballet, a marvelous story in its own right, but not relevant to the business at hand. In the 1930s, between the world wars, many artists arrived to Israel on tour, among them dancers Pauline Koner, Gertrud Kraus, Ruth Sorell and the famous Indian male dancer Udai Shankar. All of them, except for Shankar, dancers in the expressive dance style. The only tour of classical ballet to arrive at that time was of Mia Arbatova and her husband Valentine Ziglovsky, in 1934. They performed for two years, and there is no documentation of that time. Valentine was invited to dance with the Ballet Monte Carlo in Monaco, but as the war drew nearer, they decided to move to New York, where they danced with Mikhail Mordkin. The Nazis’ rise to power accelerated the flow of immigration from Central Europe to Eretz Israel, and Israeli dance community grew in the 1930s. In 1937, a dance competition was held, without any classical ballet participants. When the People’s Opera was founded in 1941, the composer Marc Lavry invited Gertrud Kraus, the Guru of expressive dance in Israel, to join the Opera, and her company became the Opera’s company. For the first time, the Opera is associated with a modern dance company and not a classical ballet one. Alongside the great developments in modern dance, in 1933 a modest ballet studio was established in Tel Aviv by Ada Treinin, who had studied in St. Petersburg. The story is that Gertrud Kraus’s students used to secretly take ballet lessons with Treinin. Those were the years when the antagonism between modern dance and classical ballet was at its worst. In 1938, Arbatova returned to Israel, without her partner. Unlike Treinin, Arbatova had a lot of stage experience. She had danced in the Riga Opera for six years (concealing her Judaism), and her teachers were Olga Preobrajenska and Alexandra Fokina. In 1941 Archipova Valentina Grossman, who was born in Astonia and had studied at a classical ballet school in Leningrad, arrived in Eretz Israel. Archipova, a Christian, married the Jewish impresario Arthur Grossman, and they were on tour in the Middle East when World War II started. As Grossman was a Jew, they were afraid to return to Europe and decided to immigrate to Eretz Israel. They lived in Haifa, where Archipova opened a ballet studio, focusing mainly on teaching and creating the first generation of ballet teachers in Haifa. Among her students were Rina Perry, Hillel Markman, Berta Yampolsky, Avigail Ben-Ari, Liora Bing and Ruth Eshel. There were several unsuccessful dreams of establishing a ballet company. In the mid-1940s Alexander Graftsoff, a Russian dancer and choreographer, presented an evening of ballet at Habima Theatre. When the War of Independence started, the dancers enlisted in the army, the prospect of financial support faded and the company dissolved. Grafsoff, disillusioned, left the country. Another attempt was made in 1949, when Arbatova, together with other ballet teachers and dancers who had arrived from Central Europe – Irena Getry, Mia Pick and Elisheva Mona – founded the Folk`s Ballet, where the advanced students danced. The company survived one year and presented a single program on the occasion of Chopin’s 50th anniversary. The 1950s saw some improvement. The years of economic crisis have ended, and European ballet companies came to Israel, among them the London Festival Ballet with Anton Dolin and Alicia Markova. From France came the wonderful dancer Jean Babilée with his own company, performing Roland Petit’s masterpiece Le jeune homme et la mort. The movies Ballerina, Red Shoes and The Hoffmann Tales were shown in movie theatres in Israel, bringing the stars of the Royal English Ballet to the Israeli audience. In the mid-50s, Arbatova’s studio became the cultivation ground for a young generation of dancers, and the place where foreign companies practiced when in Israel. Among the young dancers were Zohara Gil-Simkins, Igal Berdichevsky, Reuven Formberg, Moshe Lazara, Bruria Aviezer, Avraham Meir, Nira Paz, Domi Reiter-Soffer, Rina Schenfeld, and many others. In 1954 Arbatova was invited to be on the jury of an international competition for classical ballet and character ballet in Vienna. Heading the jury was Rostislav Zakharov of the Bolshoi. The first prize went to Rudolf Nureyev and Mia Plisetskaya, and the silver medal for character dance went to Yona Levy, a 14 year old girl of Yemenite origins, Arbatova’s student. The only professional framework that existed at the time was the Israel National Opera’s Ballet Company, founded by Edis de Philippe in 1947. No regular ballet classes were held, and most of the students, who were Arbatova’s students, took lessons outside the Opera. Among the dancers were Rachel Talitman, Yitzhak Mashiah, Aron Ben Aroya, Pazit Ben-Artzy, Alisa Sadeh, Dalia Kosht, Moshe Romano, Moshe Davidson, Avram Shemesh and Yakov Kalusky. Dorina Leor, Miriam Kofman, Adam Darius, Jean Hill-Sagan, Dvora Smolian, and Shelley Sheer also danced at the Opera. In 1965 Hillel Markman and Berta Yampolsky returned to Israel, and were appointed principal dancers and Directors of the Opera Ballet. Two years later, they left the Opera and established their own company – The Israel Ballet. That same year the Bat-Dor Company was founded with the assistance of Baroness Batsheva de Rothschild, and in Kibbutz Ga’aton another daughter to modern dance was about to be born – The Kibbutz Company (1969). When the Israel Ballet was founded it had no financial assistance, in addition to all the usual hardships of a young troupe and the difficulty of finding Israeli dancers properly trained in classical ballet. We should bear in mind that the Bat-Dor studio, where most future dancers would study, mainly to become modern dancers, only opened during that year. A turn in The Israel Ballet Company’s development occurred in 1975. The company was invited to perform in the Israel Festival. George Balanchine allowed the company to perform his Serenade, and Felix Blaska permitted it to do his Electro-Bach. The names of Israeli dancers started to appear alongside those of stars from other countries, among them Nira Paz, Erez Dror, Iris Gil and Na’ama Yadlin-Gindes, joined in the mid-80s by Orna Kugel and Wendy Luking-Shapira, who later became soloists. In the beginning of the 1980s, several Israeli choreographers created pieces for the company, among them Naomi Aleskovsky, Erez Dror, Ya’acov Sharir and Amir Kolben. However, as mentioned before, this course was cut short and Yampolsky became the company’s sole Israeli choreographer. Around the time of the founding of The Israel Ballet, the teaching situation in Israel started to improve. The Bat-Dor studio employed good ballet teachers, and teaching became more methodical. In 1967, for the first time, an examiner arrived from the Royal Academy of Dancing in London. A year later, the opening a branch of the Academy in Israel was approved, and Archipova Grossman, who had made the first contact with the Academy, was appointed Chairperson. The immigration wave from Russia brought with it teachers and dancers: Inessa Alexandrovitch taught at the Bat-Dor studio; Alexander Lipshitz taught at the Music and Dance Academy in Jerusalem; and Ilana Pasternak founded the Haifa Ballet together with her husband. The Haifa Ballet programs featured Gaina Shakrian as a soloist, Alexander Alexander, who danced with the Bat-Dor Company and is nowadays a classical ballet teacher at the Batsheva Dance Company, and Valery and Galina Panov. As the Panovs’ star was rising in the mid-70s, Teddy Kollek – then Jerusalem’s Mayor – wished to found a ballet ensemble to be headed by the immigrant stars, but they preferred to further their careers abroad. Nina Timofeyeva, one of the USSR’s most famous ballerinas, came to live in Jerusalem. She taught at the Music and Dance Academy summer courses and founded an ensemble that was associated with the Academy’s high school. There are many formerly Russian dancers in The Israel Ballet, including Nina Gershman, Vyacheslav Sarkisov and Bogdan Khvoinitski. There are many in the Bat-Dor Company as well - among them Vladimir Bassanov, Maya Lavendovsky, Vladislav Manayenkov, Alexander Mishak and Vladimir Rusakov - where they make the transition to modern dance. The Russian immigrants brought with them a style rooted in the great tradition of Russian ballet, which is different than Western ballet. They are knowledgeable and have increased the number of ballet viewers. Most important, there are among them young people, who are willing, even at a time when computers and television appeal to youngsters, to invest many hours in the study and practice of this noble, demanding art form. In the Mia Arbatova competition, of the seven young Israeli dancers to reach the finals, three were of Russian origins. In Israel, Beauty still sleeps. She awaits the Prince that will rouse her. We are all waiting. 1. 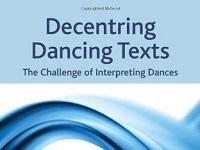 Ruth Eshel, Dancing with the Dream – The Beginning of Artistic Dance in the Land of Israel, 1920-1964, Ha-Poalim Publishers, 1991, pp. 49-62. 2. Ruth Eshel, “The Israel Ballet – Dream and Reality,” Dance in Israel, no. 7, Dec. 1995, p. 12. After the establishment of the State of Israel, as immigrants poured into the country, Israeli ballet reached its lowest point. New immigrants, searching for income sources, recalled that they had taken some ballet classes in their childhood and opened “ballet studios” in their living rooms. In order to attract students, the students were dressed in tutus, like the wonder-girls then in fashion. The “teachers” put the children on their toes from the first year, and the split and the bending back of the whole torso became a symbol of ballet technique. Every year extravagant performances were put on stage, with students attempting to do exercises which were far beyond their capabilities.